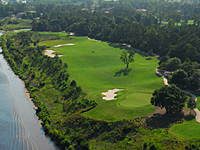 The Myrtle Beach golf landscape is constantly changing and getting better. 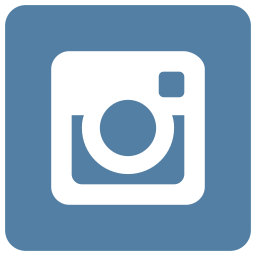 Stay in touch with the latest news, events and articles right here. Happy Holidays from Myrtle Beach Golf! Two “Hidden Gem” Holes at Myrtlewood Golf Club in Myrtle Beach, S.C.
Myrtle Beach Golf Tip with Meredith Kirk: What Are Your Goals with Your Pitch Shots? “Big Break Myrtle Beach” Episode 8 Recap: Sorry, Charlie? Myrtle Beach: North, Central or South? 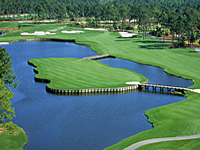 Maginnes Minute: What’s On Tap Right Now in Myrtle Beach Golf? 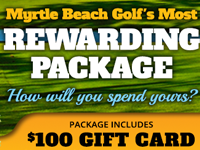 Myrtle Beach Area Golf Vacations? Try Family Stay & Play at Pawleys Plantation This Summer! Michael Jackson the Golfer: Who Knew?